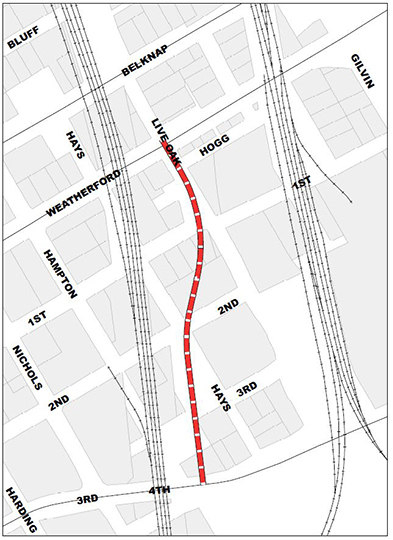 Construction begins Nov. 7 on a new segment of Live Oak Street from Weatherford Street to Fourth Street. This new roadway section will provide a connection to Fourth Street without any railroad crossings. It also will enhance access and mobility for the area, improve overall safety and create a railroad quite zone. Construction is expected to be complete in September 2019.